Samsung introduced the all new Galaxy Tab 3 yesterday. It is the definition of low to mid range, bringing specs that might have impressed us back in 2011. To Samsung’s credit, we are sure this tablet will be marketed as a budget-friendly companion, allowing users to complete their digital tasks and consume medium amounts of content. The device’s specs are sub-par, featuring a 7″ WSVGA display with a resolution of just 1024 x 600. It is powered by a 1.2GHz dual-core processor with a 1GB of RAM, comes packed with a 3MP back-end camera, and runs a 4,000 mAh battery. There is still no price listed for this device, but take a look at those specs and you can guess it will be somewhat low. If you recall, there was a rumor circulating that it would cost just $150, and with the specs confirmed now, that wouldn’t shock us. 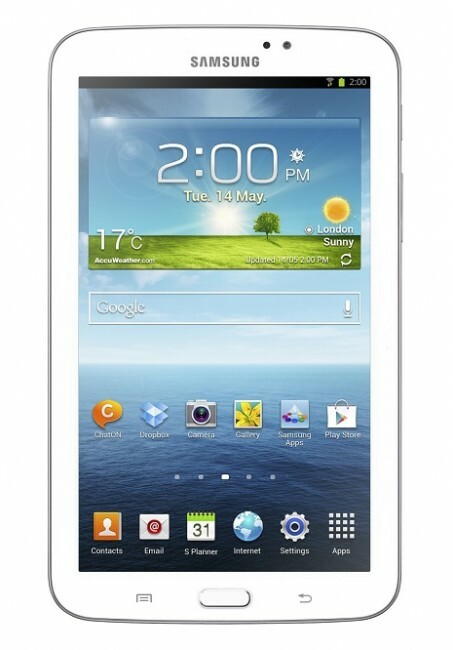 The Galaxy Tab 3 goes on sale starting in May for the WiFi model and June for the 3G model.